Against a backdrop of more than five hundred Opti, Laser and 420 white sails dotting the horizon, a good size fleet of youth windsurfers took to the waters of Biscayne Bay in Miami between Christmas and New Year’s Day for the Open Orange Bowl. Here, Steven Max reports on the action in the Techno fleet for US Windsurfing. Enjoy! Some people in the small windsurfing community probably know me as Steven Max the Freestyle windsurfer (Starboard/Hotsails), few know that next to Freestyle windsurfing, I love to sail techno 293 and do course racing. The last few years I’ve been training really hard to better myself in the Techno 293 class and even though back at home in Aruba there is only a very small group of people practicing this discipline, I try to train as much as I can and really enjoy doing it. Wanting to get a little more experience with the actual racing in a large group of skilled athletes in the T293 division, I went looking for a competition with an Youth Olympic level nearby to see where I stand and if I’m any good compared to other T293 sailors internationally. 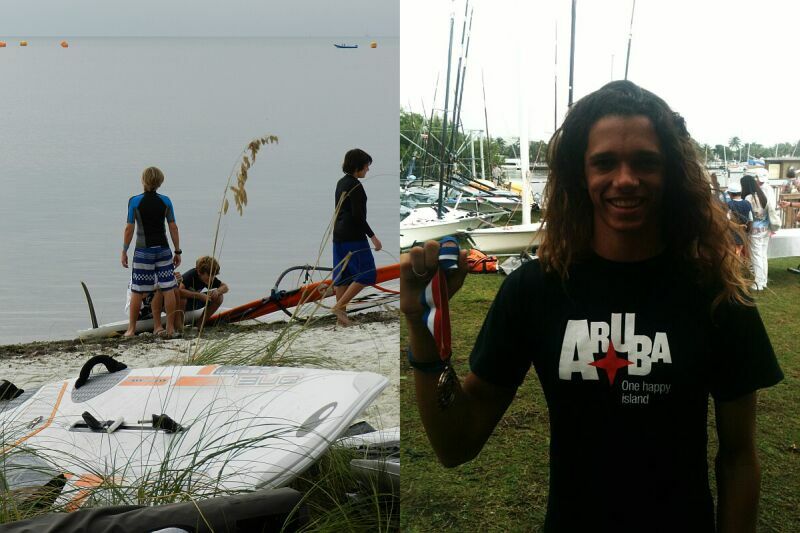 With a lot of help from Nevin Sayre and Tomas Nores, and with the support of my sponsors Malta Polar and GNC Aruba, I was able to go to Miami and join the fun at the Orange Bowl International Youth regatta in Biscayne Bay last week. Over the last 8 years I have been to many events and regattas, (which did Freestyle, Slalom, Formula and many also had course racing), but I have to say, the Orange Bowl international youth regatta has been a new and exhilarating experience for me. It was very well organized, there were really nice and interesting people, but most of all the professionalism of the organizers was impressive. It’s really nice for me as a sailor to know exactly where I stand, have such clear rules and regulations that are easy to follow and to be able to completely focus on my racing. 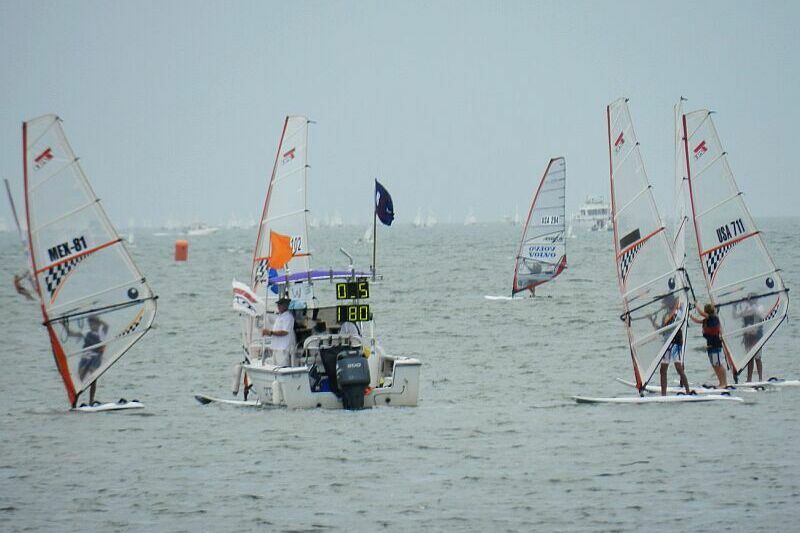 It was also fun to be able to sail every day of the event, which I am not used to in Freestyle. I learned so much and made some really cool new friends in the process. I would like to thank everyone in Miami who helped make the event possible. One thing I know is that I will continue to sail Techno 293 and maybe RSX in the future and will hopefully return to the Orange bowl next year. I hope to see everyone again in Mexico.